I finally switched out my closet for summer. When the summer clothes come out it is like getting a whole new wardrobe. I run across items I forgot I had. 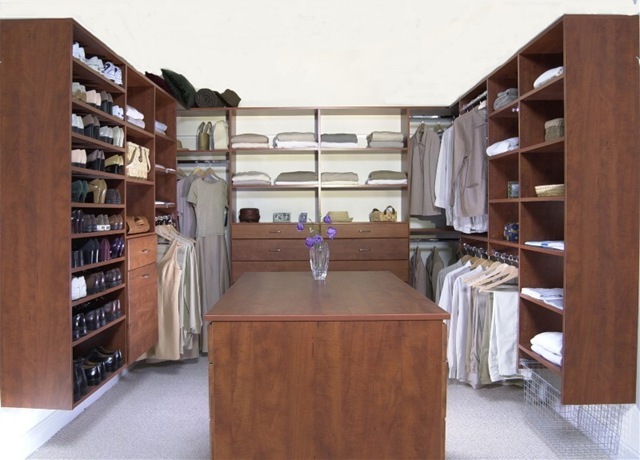 In my dream closet I would never have to switch out my clothes. It would be the size of a large bedroom. One wall would be for workout clothes, one for casual clothes, one for nicer stuff, and the fourth just for shoes and purses. There would be an island in the middle like in a kitchen for folding and ironing. Part of that would be a vanity for doing hair and makeup. There would be a skylight for natural lighting, a full length mirror, and a small TV so I can watch the news while I do laundry. And the laundry room would be attached so I would never have to carry loads of clothes across the house. Then I would go to Honduras to visit my sponsored kid whose whole house is the size of that closet and sleeps 7 people. And when I got home I would sit on the island in my closet and cry and cry about how many families I could have helped instead of buying all those clothes. Sigh.